...as you dash through the forest! ... and fun for all ages! 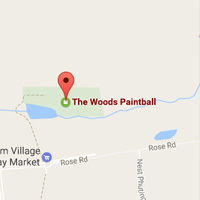 The Woods paintball range is located inside a beautiful forest. Just 10 minutes North of Fourways Shopping Mall in Johannesburg. We put your safety first with quality safety gear and trained marshals. Paintball for all ages! 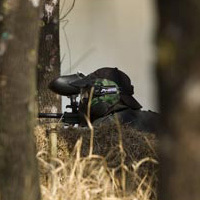 This is a low impact form of paintball. The marker (gun) is similar looking to the normal “high impact markers” but shoots at a lower velocity. Our most popular package for anyone and everyone raring and ready to get covered in paint! Please make sure to book your session well in advance to avoid disappointment. 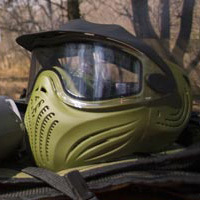 ONLY PAINTBALLS PURCHASED FROM THE WOODS MAY BE USED IN RENTAL EQUIPMENT. Having a party? A team building function? Or just wanna invite all your friends to come and share the day with you? 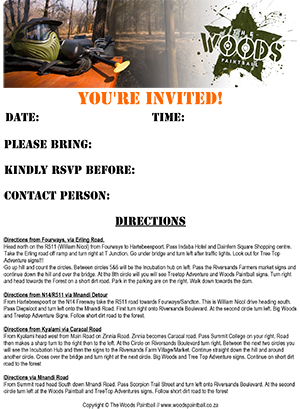 We’ve made it even easier for you to invite your friends or colleagues to join you in the forest for an exciting day of paintball! Simply download our ready-to-go PDF invitation and start inviting everyone you want! Once you’ve downloaded the invitation, you can can open it in a PDF reader or your favorite web browser and fill in the details to personalise your invitations and print them immediately! TreeTop Adventures SA is located in the same forest to add to your overall outdoor fun and enjoyment. Also on the premises is the Willow Nest Treehouse. A beautiful, unique and romantic getaway.